Young Jaxom Lord Holder of Ruatha on the planet of Pern, and Rider of Ruth, out exploring the Southern Continent. 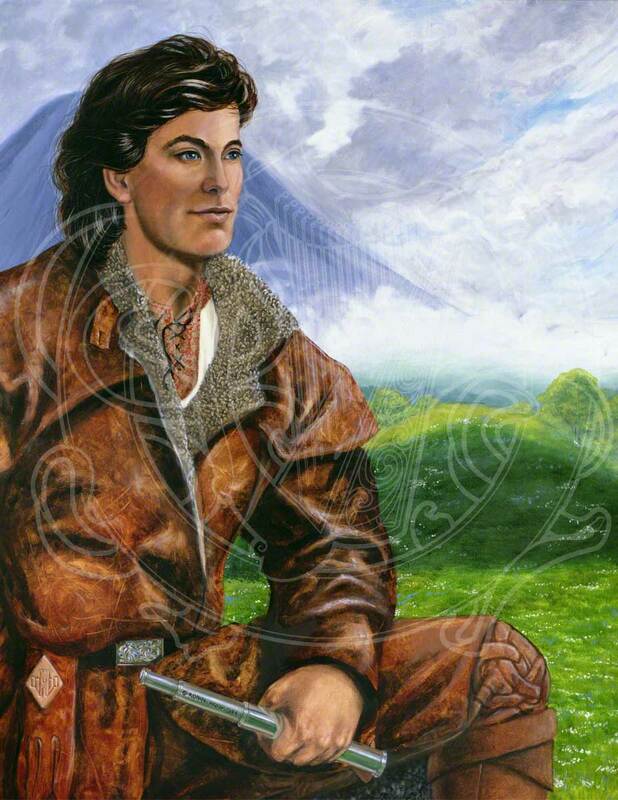 He stands on the edge of Ship Meadow, dressed in somewhat worn riding leathers which are open at the neck to show cross-stitch embroidery in the colors of Benden Weyr. In his hand, he holds a precious far viewer. Behind him, the Mountain rises out of mist and clouds. In the middle ground is the flower covered mound that hides the secrets of the Ancients. If you would like to see what is available, check out Jaxom at my Zazzle store. If you would like this image on something it's not currently on, let me know!